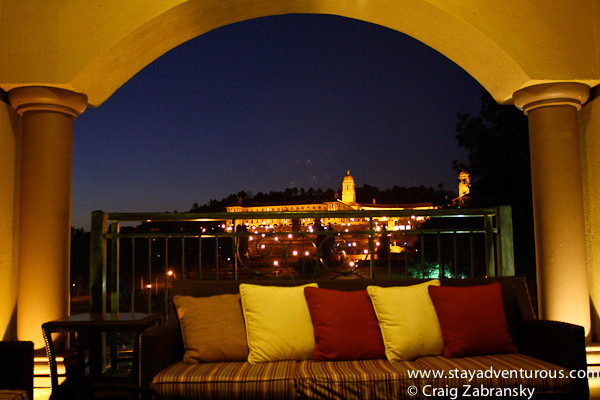 I spent two evenings at the Sheraton Pretoria in South Africa. The first evening I walked the grounds of the Union Buildings, a place where people listened to Nelson Mandela’s inauguration speech in 1994. 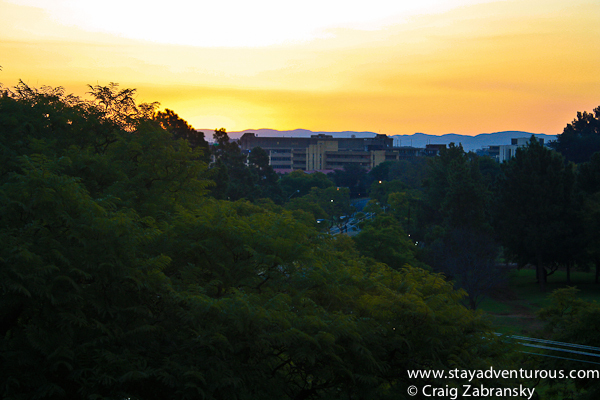 Walking about I took an image of my first sunset in Pretoria. Still today, it’s one of my favorites. And then the next night I set up to take another one. I decided to take my chances at the outside poolside lounge of the Sheraton property. I took along a beer from the mini-bar and set up to watch the sunset. The sun set behind the bushes and the sky illuminated with brilliant colors. A memorable moment. But perhaps even more memorable and powerful was the image of the illuminated Union Buildings at night. Spectacular. Thanks @Andi, I always enjoy places of historic significance too… it makes for a better memory when I consider who else took in the view and what they thought about. But yes, a lovely view nonetheless. cheers.